If you are looking for a great price on quality WinarT USA items, don't look any further! Unbeatablesale.com's large collection of 207 WinarT USA products gives you the highest quality choices on the web. 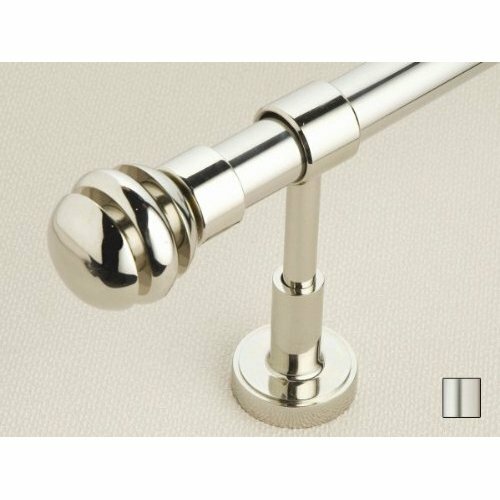 WinarT USA 8.1016.30.05.160 Liber 1016 Curtain Rod Set - 1.25 in. - Antique Brass - 63 in. WinarT USA 8.1016.30.05.200 Liber 1016 Curtain Rod Set - 1.25 in. - Antique Brass - 78 in. WinarT USA 8.1017.20.02.280 Liber 1017 Curtain Rod Set -.75 in. - Chrome - 110 in. WinarT USA 8.1017.20.03.280 Liber 1017 Curtain Rod Set -.75 in. - Matte Brass - 110 in. WinarT USA 8.1017.20.04.360 Liber 1017 Curtain Rod Set -.75 in. - Polished Brass - 141 in. WinarT USA 8.1017.20.05.160 Liber 1017 Curtain Rod Set -.75 in. - Antique Brass - 63 in. WinarT USA 8.1017.20.05.200 Liber 1017 Curtain Rod Set -.75 in. - Antique Brass - 78 in. WinarT USA 8.1017.25.02.120 Liber 1017 Curtain Rod Set - 1 in. - Chrome - 48 in. WinarT USA 8.1017.25.03.240 Liber 1017 Curtain Rod Set - 1 in. - Matte Brass - 94 in. WinarT USA 8.1017.30.01.160 Liber 1017 Curtain Rod Set - 1.25 in. - Matte Nickel - 63 in. Even better than that, our guaranteed lowest prices on WinarT USA items can't be beat, with products priced as low as $204.60. Most importantly, our vision includes hands-on customer service making sure each and every customer is treated royally -- completely taken care of to his or her satisfaction. Unbeatablesale.com offers around the clock online ordering and values your privacy; we will not sell or provide your information to any third parties. Shop secure and hassle-free today!